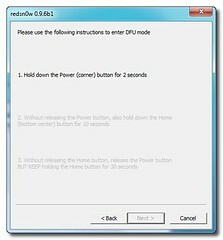 These are instructions on how to jailbreak your iPod Touch 2G on the iOS 4.1 firmware using RedSn0w for Windows. The Mac version of this tutorial can be found on to of homepage. 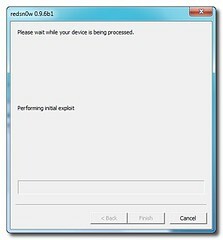 Extract the redsn0w executable from the RedSn0w zip file and place it in the Pwnage folder. Select your iPod from the list of devices on the left. Now hold down Shift and click the Restore button. Restore is preferred as it won't create any wasted space on your iPod. When asked if you have an iPod touch with a serial number that begins with MC. Click the appropriate button. Remember that if you have an iPod whose serial begins with MC you can only perform a tethered jailbreak. 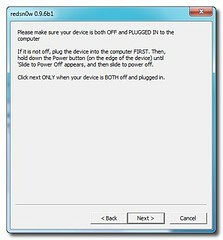 RedSn0w has options to Enable multitasking, Enable homescreen wallpaper, and Enable battery percentage. If you do not need multitasking we would recommend deselecting it as it could make your iPod 2G run very slow. It's a good tutorial, but what should i do if it says: "waiting for reboot" but nothing happenes...? I tried all hints like plug it of and then back on again but still, it does not work!!! I am stuck in the same step as you "samu-soyza"
Now what do I do? How do i get i out of DFU?? Here is something a friend tried and worked for them, we are not infront of a computer at the moment and are postage everything from our iPhone, full fixes abd updates will be done later tonight in roughly 4hrs sorry for the inconvenience. Hold power and home buttons at sane time and wait for apple logo and let go. 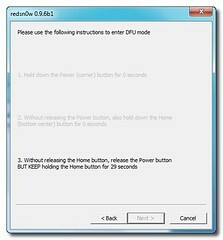 Try again starting at step six in the tutorial and it should all work, please confirm if this is working woth a reply. If this does not help we will have a fix posted later to ight. It still gets stuck in "waiting for reboot"
Okay, Before I Start, Will This Deleat Anything Off My Ipod Touch? Yes, you have to update to 4.1 to use this tutorial, unless you are already on 4.1. The only thing that might be wrong is that you don't place the iPod into dfu mode properly.. Try it again. I think the problem is only occurring with the MC iTouches? At least that's what it looks like. Mine is MC and gets stuck on reboot. I don't think I'll try again until you guys figure something out. Can i jailbreak my I touch 8Gb late 2009 mc model(is this 2nd or 3nd? 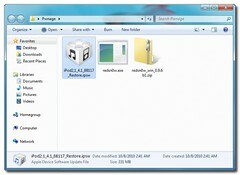 8Gb) with limerain and ist this jailbreak untethered or any other jailbreak (greenp0ison) for this device??? Thx ! i am stuck at "Waiting for reboot" anyone know how long does it take to get pass that part? ok i have a mb ipod touch 2g and it keeps getting stuck on uploading ramdisk. i followed the instructions and have used other jailbreaks before. 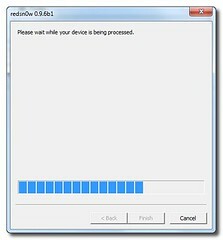 hey... my itouch 2g mc version stucks at "waiting for reboot" at the first time... well, i've done this by getting into recovery mode...but then it stucks at the second "waiting for reboot"... the itouch starts but redsnow stucks there. I've tried to get into the recovery mode again and the jailbreak finished, but the itouch stucks in recovery mode. Cant Even Open the the website when i click download redsnow here, ?? Guys it works. it freaking works. there's nothing wrong with the instructions. all you need to do is run as admin if your on windows 7 or windows vista. It clearly works for me by following the instruction. all you need to do on the first step is just run it as admin =D. Cheers and enjoy. 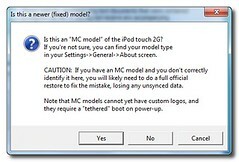 @Syed: are you running win7 64bit and jailbreaking a MC model 2nd Gen iPod touch? for all of those of you who are stuck at the "ipod rebooting part" u didn't hold the buttons down for long enough and that messes up the jailbreak, hold the last button in the DFU part for the full 30 seconds... or until the screen goes white for the second time...that should fix it! i will pay someone a few bucks on paypal if they walk me thru and get me the red snow file needed to download..
First, thank you IP3 for helping. I have a 2G Ipod Touch that currently runs 3.2.1 (jailbreaked with blackra1n). I would like to make an update to 4.1. I would like to use the following method and I would like you to tell me if it's wrong or not. 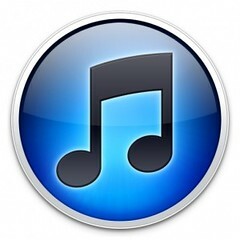 Connect my Ipod to iTunes and click 'Update'. 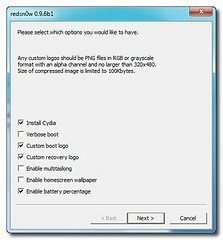 After that, I would download greenpoison from http://www.greenpois0n.com/ and use this tutorial: http://www.iphonedownloadblog.com/2010/10/12/how-to-jailbreak-iphone-greenpois0n/ . Is there something wrong? (You said that greenpoison has been updated with ipod 2g support). Thank you! It's working. I have just jailbreaked my ipod touch 2G and it works. I did it with greenpoison. 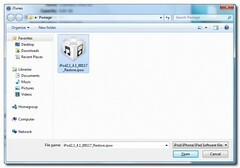 All you need to do is here >>>>>http://www.mobilesdna.com/news/jailbreak-ipod-touch-2g-with-greenpois0n/1937/<<<<<. Thanks IP3 for support! 4.1 is beautiful. 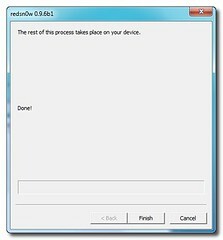 Hi, I am a windows user, and when I go to download Readsn0w at step 1, the link appears to be broken... Please fix this problem so that I can actually jailbreak my iPod Touch. Huge thanks, I tried lots of different ways to jailbreak that never worked, and this one went perfectly! I want to know if there's anyone that was able to jailbreak this with an iPT 2g MC Model. As of now I believe the 4.1 MC Models can not be jailbroken, and the tutorial should get rid of MC capable for the 2g. Again, I'm only asking if you have an iPod Touch 2g MC that you were able to jailbreak, NOTHING else.